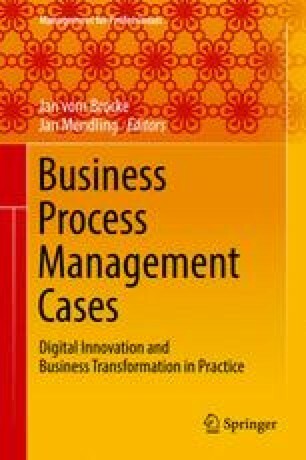 Situation faced: Exformatics, a Danish adaptive case-management vendor, wanted to leverage declarative process tools to support the flexible processes found at BRFkredit. However, switching from the more common flow-based notations to a declarative notation brought new challenges in terms of understandability. We undertook the project described in this chapter to investigate and address these challenges. Action taken: We started our investigation by having several full-day and half-day meetings to discuss BRFkredit’s requirements. Based on these requirements, we proposed and developed a prototype hybrid process-modelling approach with which models are defined declaratively, but the possible behavior of the model can be viewed and investigated using flow-based notions. The prototype was then presented to BRFkredit for feedback. Results achieved: Our investigation helped to clarify the requirements for making declarative process models understandable to end users at BRFkredit and showed how a hybrid approach could be used to satisfy these requirements. Based on these insights, we developed tools to enhance our existing declarative modelling framework with flow-based visualizations. Lessons learned: Different stakeholders have different needs and preferred levels of abstraction when process models are used as tools for communication. However, one model that seems to fit most situations is a simple no-branches sequential swimlane diagram that was extracted automatically from a more detailed declarative model. These observations enabled Exformatics to enhance its declarative modelling framework to make it more attractive to end-users. The authors gratefully acknowledge the substantial resources set aside by BRFkredit to support this study, in particular the personal commitment of Thomas Bo Nielsen and Younes Nielsen.